Our universe is teeming with invisible light. Beyond the visible spectrum, space is a colorful mess of radio signals and microwaves fired off by flaring “suns,” collapsing stars, crackling magnetic fields, roiling dust clouds and seething black holes. Then, there’s the light nobody understands — mysterious, ultrastrong sparks of energy zipping billions of light-years across the universe from unknown origins, for unknown reasons. According to a statement released in The Astronomer’s Telegram (a bulletin board of astronomical observations posted by accredited scientists), the mystery signal — named FRB 180725A after the year, month and day it was detected — transmitted in frequencies as low as 580 megahertz, nearly 200 MHz lower than any other FRBs ever detected. “These events have occurred during both the day and night, and their arrival times are not correlated with known on-site activities or other known sources,” wrote Patrick Boyle, author of the Astronomer’s Telegram report and a project manager for the Canadian Hydrogen Intensity Mapping Experiment (CHIME) — the radio telescope that detected the strange new signature. The pulse’s fast, low frequency suggests that the blast was extremely bright and originated from an insanely powerful source somewhere in the cosmos. Studying the peculiar signal could give astronomers better clues as to how these extragalactic radio waves form and where they’re coming from. “Fast radio bursts are exceedingly bright given their short duration and origin at great distances, and we haven’t identified a possible natural source with any confidence,” Avi Loeb, a scientist at the Harvard-Smithsonian Center for Astrophysics who was not involved in the discovery, said last year in a statement related to new research on these bursts. But despite FRBs’ relative rarity in astronomy, they are probably a regular cosmic occurrence, Christopher Conselice, a professor of astrophysics at the University of Nottingham who was not involved in the discovery, told The Daily Mail. FRBs may even reach our planet thousands of times a day, Conselice said; we just haven’t built enough tools to detect them all yet. 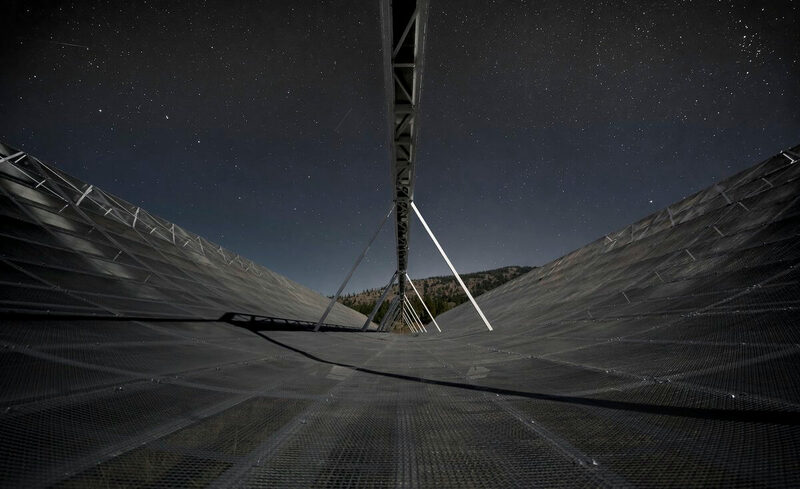 The latest mystery signal was detected by CHIME, a state-of-the-art radio telescope that looks like a skateboarder’s half-pipe in the mountains of British Columbia. CHIME was designed to detect ancient radio waves sent out when the universe was just a toddler, some 6 billion to 11 billion years ago. Though it has been in operation for only about a year, it has already detected several noteworthy FRBs, including several more low-frequency signals that followed shortly after the noteworthy FRB 180725A last week.